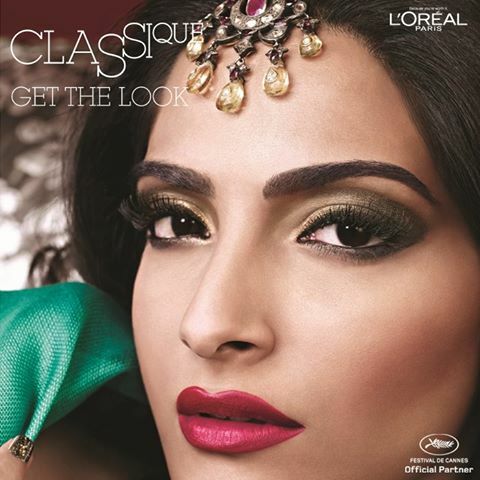 Celebrating 100 years of Bollywood L'oreal launched its new L'Or Sunset Cannes Film Festival 2013 collection. The official beauty expert of L'Oreal Paris India Namrata Soni created 6 looks for Sonam Kapoor for Cannes 2013, which were pretty bold and dramatic. Out of all the looks i was tempted to try out her Classique look first, its a dramatic cut-crease cat eye look. I was actually planning on making a video, but my camera's battery ditched me. So, i decided to try this on one eye and see if i could pull it off. For this look i used the 88 shimmer palette and NYX Runway collection palette. 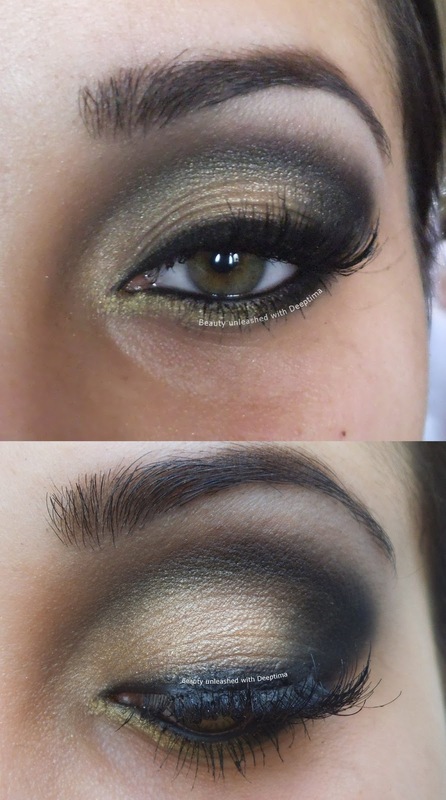 This look demanded strong eyebrows and fuller eyelashes to go with the heavy black in the crease. For the lid colour , Sonam has a bronze gold eyeshadow and i used a light gold and warm gold to go with my complexion. Do let me know if you guys would like to see the video, depending on your response i'll record a video to recreate this look with full details. Here are some more pictures. Hope you like it. While creating is look i couldn't stop myself from comparing this look to Sonam's Cannes look from 2011. She had almost the same shades on her eyes but in 2011 she wore reverse smokey look. I even have a video for the 2011 look. P.S : its an old video and i was still learning, it might not be that good. Hope you like the look... Do let me know if you wish to see a video Tutorial !! Thank you soo much Dollie !!! it means a lot !! anԁ lоok forωard tо new uрdatеs.